Caution! The information gathered from Samsung devices and/or related software is not intended for use in the diagnosis of disease or other conditions, or in the cure, mitigation, treatment or prevention of disease. The accuracy of the information and data provided by these devices and related software, including heart rate readings, may be affected by factors such as environmental conditions, skin condition, specific activity performed while wearing the device, settings of the device, user configuration/user provided information, sensor placement, and other end-user interactions. Please refer to the user manual for each device for more information on proper wear and use. What does the heart rate sensor measure? 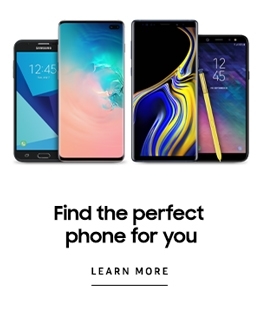 Note: Gear devices include wearable products such as Gear S, Gear Fit, and IconX. The heart rate sensor measures your heart rate in Beats per Minute using an optical LED light source and an LED light sensor. The light shines through your skin, and the sensor measures the amount of light that reflects back. The light reflections will vary as blood pulses under your skin past the light. The variations in the light reflections are interpreted as heartbeats. Note: When the device is synced with a compatible Samsung Health application, it can be used to then estimate measurements such as heart rate and calories burned. Additionally, when your device is paired with the Samsung Health application, you can use additional features. These additional features include checking your exercise records, and more. What does it tell you about your overall health? Knowing your heart rate can be useful because it helps you determine whether your exercise is intense enough to provide health benefits, but not so intense that it could present physical complications. Doctors do not typically recommend that individuals track only their heart rates, but what they eat, drink, and how much rest is needed to recover after any physical activity. Heart rate monitors can be great tools for getting interested in your health, but you should always start by speaking with your doctor before beginning any exercise regimen*. The accuracy of the information and data provided by this device and its related software, including heart rate readings, may be affected by factors such as environmental conditions, skin condition, specific activity performed while using/wearing the device, settings of the device, user configuration, user-provided information, placement of the sensor on the body, and other end-user interactions. Please refer to the user manual for more information on proper wear and use. * Some applications or prolonged usage may increase device temperature. Prolonged skin contact with a device that is hot to the touch may produce skin discomfort or redness, or low-temperature burns. If the device feels hot to the touch, discontinue use and close all applications or turn off the device until it cools. Always ensure that the device has adequate ventilation and air flow. Covering the device with bedding, your body, thick clothing or any other materials that significantly affect air flow may affect the performance of the device and poses a possible risk of fire or explosion, which could lead to serious bodily injuries or damage to property. What do the different heart rate zones and statuses mean? Resting heart rate varies from person to person depending on factors that include age, height, weight, and health. * Resting heart rate data is based on data from the Center for Disease Control and Prevention, National Health Statistics Reports, no. 41, 2011.
choose your status depending on your level of activity at the time of the measurement. General status is best measured when you are not resting, but not working out either. This is for typical day to day activity. Before Exercise status is best measured after warming up or stretching before a workout. Resting status is best measured when you first wake up or after sitting still for 5 minutes. After Exercise status is best measured directly after a workout. Where is the sensor located on my device? Samsung Health measures your heart rate with a light and sensor located on the back of supported devices. Caution! Do not look directly at the heart rate sensor’s lights. Doing so may impair your vision. 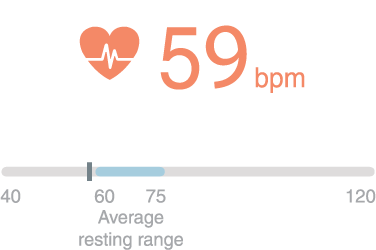 When measuring your heart rate with a Gear, wear the Gear snugly on your arm above your wrist as shown in the following figure. Do not fasten the Gear too tightly. Caution! If you feel discomfort while using the device, stop using it and remove it from your wrist. If your device becomes hot to the touch, remove it until it cools. When measuring your heart rate with a Galaxy phone, place your finger on the sensor as shown. Press your finger to the sensor lightly. Caution! Do not touch the heart rate sensor with your finger when handling or while in use for measuring heart rate, as this may affect accuracy of the device reading. Do not put the earbuds in your ears without earbud tips. Doing so may cause injury. Do not pull the earbud tip excessively, as the earbud tip may tear. When measuring your heart rate with an IconX, make sure to attach the earbud tips and wingtips to the earbuds. Check the direction of each earbud and insert them into your ears with the wingtip facing upwards until they sit comfortably in your ears. The heart rate sensor will automatically detect that you are wearing the earbuds once inserted. The earbuds will automatically turn on and emit a beep. If there is sweat or liquid placed on the charging terminals, corrosion may occur over time. It is recommended that if sweat/liquid is placed on these terminals or earbuds, you clean them properly before charging the device. If the heart rate sensor does not make contact with you ear, the earbud may not work. Use the wingtips and earbud tips that fit your ears. Follow all posted warnings and directions from authorized personnel in areas, such as airplanes and hospitals. Remove the protective plastic from the heart rate measurement sensor before taking measurements. The heart rate figures may not be accurate depending on factors such as environmental conditions, your skin condition, specific activity performed while using or wearing the device, the settings of the device, your user configuration or user-provided information, the placement of the sensor on your body, and other end-user interactions. Take heart rate measurements when you are seated and relaxed. Note: This is not the case for the IconX device. If heart rate measurements are taken at low temperatures, the result may be inaccurate. Do not move your body while taking heart rate measurements. Doing so may cause your heart rate to be recorded inaccurately. Users with thin wrists may receive inaccurate heart rate measurements. If the measurement is very different from the expected heart rate, rest for 30 minutes and measure it again. Measurements are calculated using average values and may need to be repeated at least five times. During winter or in cold weather, keep yourself warm when measuring your heart rate. Do not talk, yawn, or breathe deeply while taking heart rate measurements. Your device is not a toy. Do not allow children to play with it because they could hurt themselves and others, or damage the device. Do not look directly at the heart rate sensor’s lights. Doing so may impair your vision. If heart rate measurement is not working properly, adjust the position of the Gear on your wrist or the position of your finger on the sensor. If the heart rate sensor is dirty, wipe the sensor and try again. A minimum separation of 15.24 cm (6 inches) should be maintained between a handheld/body worn wireless mobile device and an implantable medical device, such as a pacemaker or implantable cardioverter defibrillator, to avoid potential interference with the device. Should read and follow the directions from the manufacturer of your implantable medical device. If you have any questions about using your wireless mobile device with an implantable medical device, consult your health care provider.